Seven months ago, I wrote a rather provocatively-titled post here on Aliventures: Why I’m Giving Up on My Dream. I explained why the writing dream of “get an agent” then “land a book deal” wasn’t looking so great to me anymore. And I outlined my plan to publish Lycopolis myself. Back in March, I wrote: I’ll have full control over its success (or failure). I can do it on my timescale, in my way, without waiting months and months for agents and publishers to get back to me. That’s still one of my key reasons for taking the indie-publishing route with Lycopolis. As a blogger and non-fiction ebook author, I like being able to get my writing out into the world without much delay. And – though I don’t like to admit it – I’m a bit of a control freak. One of the great things about self-publishing is that I don’t need to go getting my publisher’s approval for anything – I can promote Lycopolis however I want. Do it: If you’re impatient of waiting, take control. Start a blog or publish an ebook. I’m selling Lycopolis through Amazon. They take a 30% cut (on books priced $2.99 – $9.99) – which is considerably less than the cut that a publisher would take. If I had a traditional publisher for Lycopolis, I’d make around 10 – 15 % on every ebook copy sold … and my agent would take a cut of that too. The publisher would get around 50% of the cover price. I don’t like those stats and I don’t think they’re very fair to authors. Do it: If you expect most of your book’s sales to be in ebook form, give serious consideration to self-publishing. You might well make considerably more money. This reason outweighs the previous two. If Lycopolis wasn’t suited to an audience with Kindles/iPads/Nooks/etc, then I would have stuck with the traditional route. More and more people are getting e-readers – people who wouldn’t think of themselves as “techy” or “geeky” – so it’s increasingly the case that a wide range of books can sell online. Do it: If you’re at the start of a book project (fiction or non-fiction), consider how to make it appeal to an online audience. While it’d have been possible to pay someone else to handle all the formatting, uploading, etc, I wanted to do it myself. I’m very comfortable with new technologies, and I’ve had experience formatting documents into .mobi files (the format that you need for Kindle Direct Publishing on Amazon). As well as publishing the ebook itself, I built a website for my novel – www.lycopolis.co.uk. Do it: Don’t be afraid to have a go with new technologies. There are plenty of free tutorials available online – just search for what you want to learn. Although I will be producing a print version of Lycopolis, I’m glad that the bulk of my sales can be in ebook form. A few years ago, print was the only real option: ebooks were still very much a minority concern. Today, ebooks have become hugely popular (earlier this year, Amazon reported that they’re now selling 105 ebooks for every 100 print books). I did approach a couple of agents/editors with an earlier draft of Lycopolis. They were very encouraging about the writing itself, but unsure that it would find an audience. The book sits somewhere between “supernatural thriller” and “contemporary fantasy” with a hefty dose of online geekery thrown in … personally, I think it’s a great mix 😉 but I can see why it’s hard to pigeon-hole. Do it: Publishing professionals have to be cautious, especially with the current challenges to the industry. You don’t need to play it so safe. Write what you love: it will find an audience. I’ve been hugely encouraged by the response to Lycopolis over the past two weeks – thank you so much if you’ve tweeted, emailed, commented or reviewed it! There are several reviews up on both Amazon.com and Amazon.co.uk, so feel free to check those out before you buy. You can also download the first five chapters by right-clicking here (.pdf, left-click to open in your browser). I’ll be writing about the “how” of ebook publishing in the future – if you’ve got any specific questions that you’d like me to address, please drop a comment below. It is a great book Ali and I’m personally glad you self-published because we wouldn’t be reading it for years otherwise! The control thing is a much bigger deal than many people would think, especially for those of us used to the fast paced world of blogging and social networking. I mean, we read something, we hear big news, we post an article about it immediately. We can react, be nimble. The speed of publishing and changes to the book are brilliant for indie publishing. The process before hand is the same re writing & editing but then it’s out there and selling. I also don’t think it’s giving up on a dream. When you examine the dream more closely, it’s actually more about having readers. It’s not about agents or publishers but people loving your stories and you can do that with ebooks and indie publishing. Personally, I’ve just passed the amount of money I would have got as an advance from a traditional publisher. Most books don’t earn out their advance so I’m happy to have gone the indie route 🙂 and I’m looking forward to more of your books! Thanks, Jo! 🙂 And yes, the speed is a huge part of it — being able to react and respond quickly. It seems like a much more proactive route into publication than sitting around waiting for an agent to call. I guess it would be more accurate to say my dream *changed* than to say I gave it up. I suppose I realised that all the advice I heard 10 years ago doesn’t really apply any more — and perhaps the dream was never really going to work out anyway. Huge congrats on the impressive success of Pentecost; well deserved! 🙂 Hope it continues to sell brilliantly…! Thank the gods e-books are affordable. Your story sounds interesting — “‘supernatural thriller’ and ‘contemporary fantasy’ with a hefty dose of online geekery thrown in” and all. I’ve read through the first chapter, and I know I have to buy it. Congratulations Ali! I think many writers are coming to that conclusion in today’s scribal climate. The one thing all writers need are readers and that audience/relationship can be a blog post, article, or ebook away from our reach. I can be a bit of a techno procrastinator 🙂 mainly due to the number of steps that many technologies require more than the difficulty. But once you do it once or twice you find that it’s not too hard. It seems the fantasy, supernatural, paranormal, and vampire genres do quite well on Amazon. What is your promotional strategy? Email list, social media, combination? I have non-fiction up on Amazon right now but also write fiction so trying to figure out for myself what sites are the best use of time to connect with real conversation not just numbers. Thanks so much! Thanks Jennifer! I find that each new techy thing takes me *ages* at first, but once I’ve done it a few times, it’s much easier. In terms of promotion: well, there’s my lovely blog readers 😉 and my email list (www.aliventures.com/newsletter). I’m trying not to bombard anyone with emails, though! 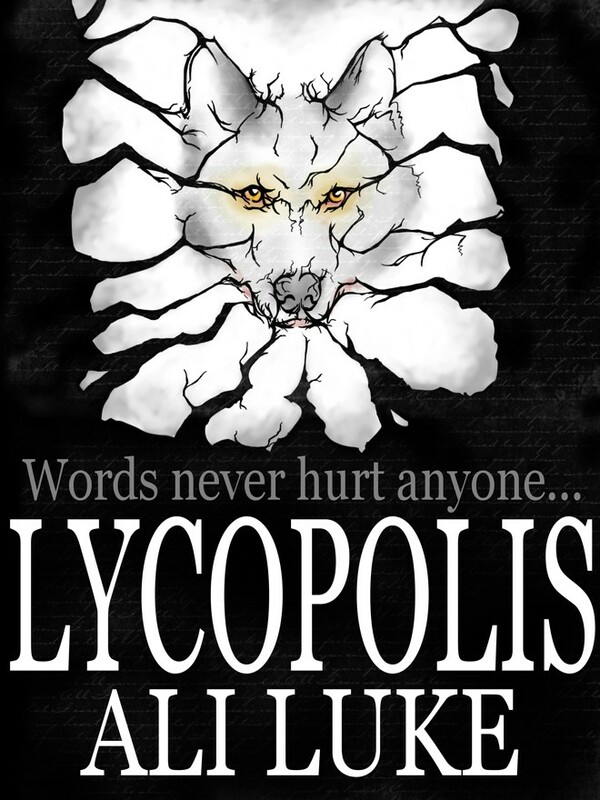 I’ve also been using Twitter and Facebook to let people know that Lycopolis is finally out there. I’m also going to be doing some guest posting / interviews for other blogs, to help get the word out. (I’ve found that guest posting works really well to promote my non-fiction ebooks at http://www.bloggers-guides.com but I’ll have to see if it also works for fiction…) I’ll definitely blog about what I find out! Great post, Ali. Please keep us posted on your success with the book. It certainly sounds very interesting and I’m sure it will find an audience and sell well. I decided to self-publish for almost the exact same reasons as you and four months in, my book is selling. The numbers aren’t earth shattering, but that’s not my number one goal, anyway. The book is out there, getting attention, getting reviews, and setting the stage as my calling card for future books. That’s where it’s at for me. I agree with Joanna that most writers’ dream is just to have loyal readers and fans, and that if most writers dug deep and reassessed their goals they’d come to the conclusion that they don’t necessarily need an agent or publisher to do that. Katie’s last blog post ..Does The TSA’s 3 oz. Liquid Rule Still Hold Water? It’s great to hear that your book is getting attention, and I like the fact yo’re not just focused on sales. Building up a reputation as a writer is hugely important, I think, and I’ve heard a lot of indie-authors say that success only really comes when you’ve got half-a-dozen or so books out there. I love that your reasons to self-publish are so similar to mine! Well, what will be mine when I’m ready to publish. I would only switch out #6 for “keeping my rights,” which has become a huge concern of mine given reports of late from authors having to wrestle with publishers and even agents. In such a tumultuous time, control is critical, as you’ve noted. And the description of your book has me intrigued. I hope it’s available on the Nook! Thanks for the tip, Ali! I’ll be sure to download that pdf. Though it’s not my genre, I like reading true-crime, and crime fiction, I downloaded it because I do like to read different genres, and I also wanted to read you writing fiction. Thanks for sharing. You’ve inspired me to write and self-publish my own crime fiction book. Crime seems to be selling well at the moment (take a glance at the Kindle top 100) — so get your novel written and out there! Great to see all this attention. I’m thinking seriously about the indie route too and will probably go that way myself when my novel is ready. As you know I enjoyed Lycopolis, and I will read it again. Before I forget, thanks a lot for your attention to my blog. As you also know, it’s fairly-new, so I don’t yet get a lot of attention from power hitters, such as yourself. A lot of us readers have never done ebooks. I’ve got two books going, my novel in about its 4th or 5th re-write and a book on writing, so I will start from scratch when I get to that point. 1. Which program did you use to format your novel? Did you check out other programs? Any pros and cons on them? 2. What was your experience like working with Amazon. 3. It sounds as if you didn’t go with print on demand, right? If not, why not? 4. Do you recommend professional cover artwork/design for any book, like nonfiction, as well as fiction? 5. How did that go, working with the designer/artist? 6. Did you compose in html, and if so what’s the best way to learn that? 7. Do you recommend hiring a coach/editor for first time novelists? I’m sure you do? Any clues as to how to pick one? 8. Also, step-by-step like you did with your freelance writing course (which I have a high regard for–you obviously know what you’re talking about), chronologically would be great. What would you do first, and then next… ? Being efficient with our time is important to most of us readers, I’m sure, and such procedural insights can help a lot. Actually I too wanted to ask most of them. I’m adding one to your list. Question 9. How many books should one sell in order to become a bestseller? 3. I think this depends on your audience. I do use print on demand. I also get a printer to run off a few thousand copies in advance for me to sell at the talks I give and via my own website. 6. Google taught me all I know. I didn’t use HTML though. 8. Crikey – that is a question too far for me I’m afraid!! I’ve published two books via Kindle, and formatting a book for another author for their CreateSpace project. 1. first drafts and editing of the texts .. use whatever software you want. I’m trying out ‘focus writer’, but used Abiword for the latest published book on the first draft. The two I’m working on now I’m just using LibreOffice. Goal for creation is to get all the icons out of the way .. and if I can get the old black screen/green text (greenscreen) terminal look then that works best for hours of staring and typing). For final formatting just use LibreOffice.org (it’s free and works on Windows and Linux). Key is to strip out all crazy text features (copy/paste unformatted text), and fix quotes into smart-quotes, remove tabs (use paragraph auto-indent), and only bold/italics – as Kindle keeps it simple on their display. You can get templates from CreateSpace to start from for printing there. Want something ready to go? Check out ubuntu.com or avlinux (which is good if you want to create a book trailer like mine here: http://www.youtube.com/watch?v=PTLrXyLI1gA ) and run from a ‘liveCD’ (oh, and it’s free!). 3. Physical print books are selling slower than ebooks. And the sales of them are slowing down. You’ll have more work formatting them. But for some instances (say you want ‘gifts for the holidays’) then you may still want to do it. 4. It’s a business. If your book sales can support it, then spend for professionals. Otherwise, learn to run a couple of free programs Gimp.org and Inkscape.org. At a minimum use Gimp to build a cover from a digital picture. 5. Make several covers and have friends vote on them. Recent book I did ten versions and got votes down to the top three. 6. If going with Amazon .. just use LibreOffice and ignore the fancy html .. you can do it, but the key is getting a simply formatted book to start with. If you’ve been dragging the text across six versions of MSWord (I have some text in mine from 1991 I had to clean up) then you just clean the text up. Maybe Notepad (windows) / gedit (Linux) to do this – pure text editors. 7. An editor is well worth it, but again look at the business side. You can start with friends & family first round or two. But is your story compelling enough that readers will over look minor problems? That is the first test. If the reader is getting bored they will start to pick out those runnon sentences and crazy formatting. Test the story logic too .. is the car door look smashed in during chapter one while the car crash doesn’t happen until chapter eight? 9. (from other question) .. as many as you can write. It appears from my research that ten might be a good start. Book series are important, with several already to go as readers are reluctant to get the first one until others are available). But don’t wait. Get the first one out there and plug away at number two, three, and so on. If you still want some help, head over to my weblog (http://jgordonsmith.com) and contact me there for the publishing team I’m working with now .. editing and covers plus document layouts, and developing the marketing features. Thank you Mrs Luke for accepting my request of publishing an article about self publishing. I was waiting for it. If one self publishes the paperback version of a book then how would he supply it to the market – both national and international? I know that it can be sold on websites like Amazon but is it possible to bring such books in the “real” market out there where people can see and touch them physically in book shelves? It’s difficult to get books into stores if you’re an indie-author; book stores normally want to go through big publishers. Some writers succeed by going into the stores individually and asking them to stock the books — but it’s a time-consuming process. If you’ve got a local, independent book store, it would definitely be worth asking them, though. Suppose if one’s self published book sells a lot and becomes a bestseller on Amazon. Then will it be easy for the author to get his books out in the real market? I mean is it possible that an author will manage to supply his paperback books in the market throughout the world (not just a local bookstore) WITHOUT needing a publisher? It would certainly be possible, but the author would need to pay for a printer to print the books and probably a shipping company to distribute them. Personally, if I got to that stage, I’d be looking into traditional publishing to get my books into bookstores… and I know some indie authors (Amanda Hocking is one) have signed print deals after having success as self-published ebook authors. Any plans to have your book available for the Nook (and others, I suppose)? I just did a search and came up empty. Just wanted to stop by and encourage those who have little desire to jump into #4. I independently published two books so far (print at first, planning for ebooks maybe next year) and I hired everything out very reasonably via http://www.elance.com You need to do your homework like with anything else, but if the only thing that is making someone hesitate is learning the techy stuff, no worries, you don’t have to if you don’t wish to and you can still do just fine. My main concern is how to reach a wide Kindle audience. I have my blog / twitter / facebook etc stuff, but I don’t know anything specifically about where to promote a Kindle book. Do you have any ideas? * right category i.e. one you can rank in is better, not the one stuffed with trad pub hits! So you use all the usual marketing stuff to build your list of interested people (which you’ve done already), then ask for reviews. You can also target book bloggers – but be very specific who you choose. This post really motivates me to go ahead and self-publish. I’ve been having my doubts about self publishing, such as the fact that I would be skipping an opportunity to get into the big leagues, but at the same time all these points are very valid for me. I am capable of self publishing, my audience would be those with ebook devices, and the thought of having more control very much appeals to me. Thanks! And as far as getting into the big leagues goes … some self-publishers (Amanda Hocking comes to mind) have signed huge deals with traditional publishers, after having lots of success with ebooks. It used to be the case that agents/publishers weren’t keen on work that had already been self-published, but that attitude really seems to have changed now. Wow, nice to see you can self-publish. I have a brother who has been struggling to get his short stories published, I will send him a link so he can see how’s done. Short stories are always a tough one to place — so self-publishing might be a great route forwards for your brother. Best of luck to him! Thanks, very interesting and informative. I’ve written my first novella….no, scrub that, I’ve written the first I’m happy to publish. It’s actually the fifth I’ve written. I am trawling for advice on the publishing process. The novel is a development from my blog and in response to requests from blog readers. The blog which is a part of the whole fictional world of my central character and narrator and continues the conceit. My question concerns web sites as compared to a blog. Does it matter? Do people look down their nose at a blog? I guess I’m unclear about your question. You noted that your book comes from the requests you got after blogging. Your audience is already enjoying your blog, that’s who you would want to attract with a blog any way. If there are those who’d look down on it, clearly, they are not your reader so who cares? There may be industries where a blog would not be useful/appreciated, but not for most authors. The benefits of a blog are fresh content for the search engines and a way to engage that a static, traditional site cannot offer. Since you’ve already started building a platform with your current blog, I can’t think of a good a reason to stop doing it. Cheryl Pickett’s last blog post ..Are You a Good Egg? I have to say I agree but I keep reading comments that cast aspersions upon blogs as the refuge of the amateur, I just wondered if I was missing something. Screw ’em, I’m going to continue as is, much appreciated, thanks. Thom Loveless’s last blog post ..Bernie O’Keefe book available free…. You’re welcome, and we definitely travel in different circles because I can’t say I’ve heard/read anyone say blogs are for amateurs. Maybe if people do them instead of writing a book, out of fear etc. it could be a valid point. But as far as marketing goes (which all authors have to do), blogs are one of the top tools for most. Definitely keep doing what you’re doing if it’s working for you. Fair comment, British snobbiness I suspect. Thom and Cheryl, thanks for adding this interesting discussion! Thom, some people (particularly here in the UK, where everything is 12-18 months behind the US…) still equate “blog” to “personal diary on the internet”. Nowadays, of course, blogs can be almost anything. In fact, I’m sure lots of those blog-deriders actually read blogs … they just don’t realise that’s what they’re reading. It’s entirely up to you, but you might choose to move away from a “blogspot” domain name to get your own URL. To some people, it does look more professional to have a “.com” without “blogpost” or “wordpress” in the name. Best of luck with your novella! Thanks Ali and Cheryl. I think you have neatly summarised the essence of the issue, the address of the blog as opposed to the destination. I take great efforts to keep my blog clean and slick. Even all the illustrations have a constant theme. All B&W and… well you’ll see if you check it out. Although it pains me to agree with your view that we are 18 months behind the US, having spent most of my working life in America experience tells me that you are probably correct. Interestingly, although my blog/novella is written with an English narrator (albeit living in America) and a heavy dose of self deprecation, over 80% of my followers are American. I can see why I suppose, my character started life as a modern day Bertie Wooster and ended up as Lawrence Sanders’ Archie McNally turned to the dark side….or something like that. That’s for the advice, much appreciated, it is a bit lonely with just a glowing screen as company! Thom Loveless’s last blog post ..This is going to hurt you more than it does me……..